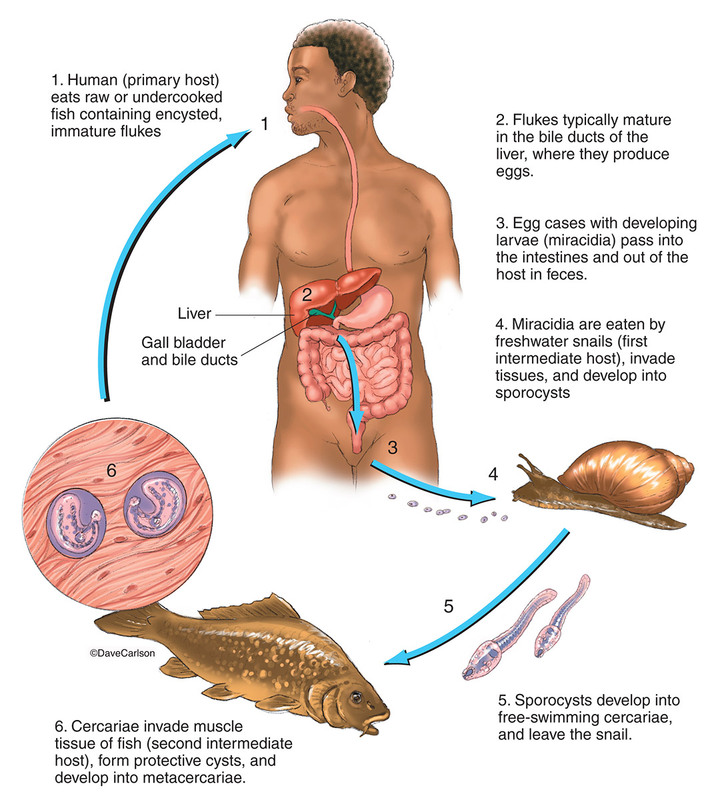 Illustration of the life cycle of a parasitic fluke of the phylum Platyhelminthes. Image © copyright by Dave Carlson. Browse images in the Categories, or enter a search term here to search the image archives. Narrow your search results by separating multiple keywords with a comma. All material © copyright by Dave Carlson. All rights reserved. Site by WideRange Galleries.